However, Adams didn’t write “the year of the hangman,” and neither did anyone else I can find in the 1770s. The label doesn’t appear the Archive of Americana database of period newspapers and pamphlets. Nor is it in the Adams family letters, the George Washington Papers, and the other digital databases I usually check for period usage. One part of The River and the Rock: The History of Fortress West Point, 1775-1783, authored by Dave Richard Palmer in 1969, carried that title. The phrase “year of the gallows” comes from a character’s mouth in Thomas Fleming’s 1976 novel Liberty Tavern. John S. Pancake’s 1777: The Year of the Hangman (1977) quotes Adams’s original letter to explain its subtitle. Gary Blackwood’s The Year of the Hangman (2002) is an alternate history marketed to teen-aged readers. Most recently, Glenn F. Williams’s award-winning military history Year of the Hangman: George Washington’s Campaign Against the Iroquois was published in 2005. As its subtitle indicates, that last book isn’t really about hangings of American rebels or British convicts, but about the ruthless war on the U.S. of A.’s northwest frontier. It’s a long way from Adams’s original claim that Tories joked that 1777 would see a lot of rebels going to the gallows. I think the phrase’s appearance on that book shows the real appeal of “Year of the Hangman”—it just sounds like a cool title. I could not be more delighted with this post. I once considered using this phrase as the title of a novel until I discovered more than one book already in print under that name. There is yet another to add to the list you mentioned: Year of the Hangman: George Washington's Campaign Against the Iroquois (2005) by Glenn F. Williams. 1779 has one less numerical gibbet than 1777, but as you say, it's a catchy title. My nascent novel - taking place within an alternate history that turns on a very different outcome at Trenton - is now called "World Turned Upside Down", but I know enough not to have it played at Yorktown! 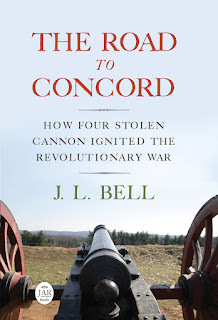 I listed Glenn Williams’s book at the end, all the while wondering why it had a title alluding to 1777 when the Continental campaign in northwest New York came later. I’m glad you avoided title overuse. Ah, so you did. Whew! 1950?!! A college textbook that we recently used at my school had a whole chapter titled "1777: Year of the Hangman," and repeated the old story. Thanks for setting the record straight. I thought of something else: when hanging was the standard way to execute criminals, wasn’t every year a “year of the hangman”? That phrase might have acquired such resonance only after we stopped hanging people.